I love Nordic Noir and this book is a very good example. Book #7 in the Louise Rick series (but don't worry, it works as a stand alone book, too), and I'm ashamed to say I'm just discovering author Sara Blaedel. After a woman is found dead in the forest, police detective Louise Rick, who has just been assigned to a new task force, and her new partner have to find not only who she is, but where she came from. When they discover she is supposed to have died more than 30 years before, the story takes on a very interesting turn. Add to it that the place where she died is close to Rick's childhood home, and that she has many issues personal issues to solve, and you have a great thriller in your hands. Nordic Noir is on the top of my favorite book genres, and Sara Blaedel does not disappoint. Fast paced, well written and translated, I think I have also found a new favorite author. Once in a blue moon, you read a book that has nothing to do with you and you absolutely love it, right? That's what happened to me with this book: I was completely blown away. I don't read/like romance books. I don't like chick-lit or what many people call "women's fiction"... and I loved this book. 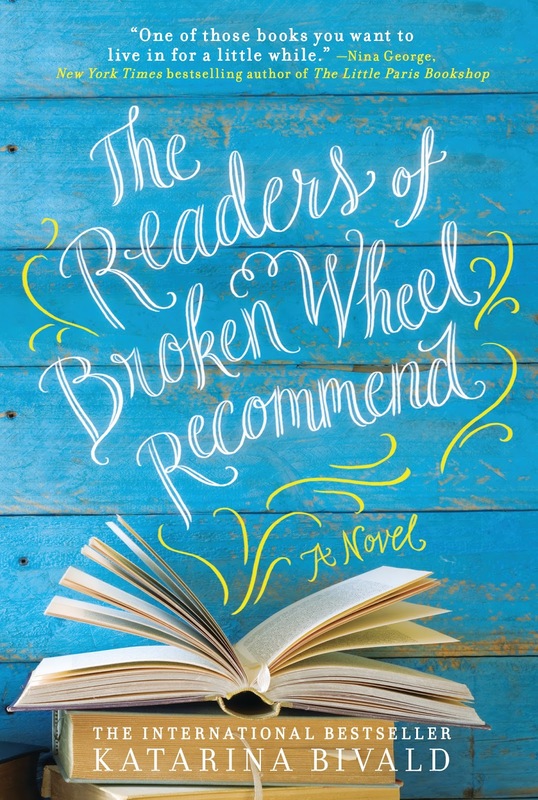 I love books about books, and "The Readers of Broken Wheel" does have a lot of talk about them: classics, romance, erotica, thrillers. There's a book suited to each one of the characters in this book. 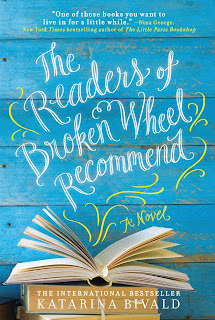 When Sara Lindqvist arrives in Broken Wheel, Iowa to visit her pen pal Amy Harris, she finds out her pen pal died a few days before. The small town, which seems about to disappear (even the school moved to a bigger city) adopts her. And shy, awkward Sara makes them her new family. She starts giving her new friends books according to their personalities, and they're spot on. Her cataloguing of the books her friend Amy left has me considering suggesting her methods to a few libraries. The rest of the characters are absolutely funny and adorable, and the almost final scene (no spoilers here, sorry. Go read the book!) had me laughing for hours. This book is proof that you can change-yourself and people around you- all for the best. This book took off very slowly. So slowly, in fact, that I was afraid that it would end up in my DNF pile. However, when I had read about 40% it started picking up. I wanted to read the book because it's author won the Campiello Prize in Italy, and there are great authors among the winners. The title, I have to confess, put me off a bit. It certainly isn't attractive! It's the story of the Spada family, who live in Northern Italy during World War I. Their home is invaded by the enemy army and they scramble not just to survive, but to resist the invading armies. The characters are very well described: Paolo Spada, the orphaned grandson. Nancy and Guglielmo, his quirky grandparents, Donna Maria his aunt. Lovely Giulia who has been exiled from Venice due to her "bad behavior", Renato, Teresa and Loretta. And last but not least, Don Lorenzo, the priest. The plot ins't just about a war and what it entails for all of the Spadas. It's a coming of age story, as well as a family story. Coming soon, a book I think you'll love. 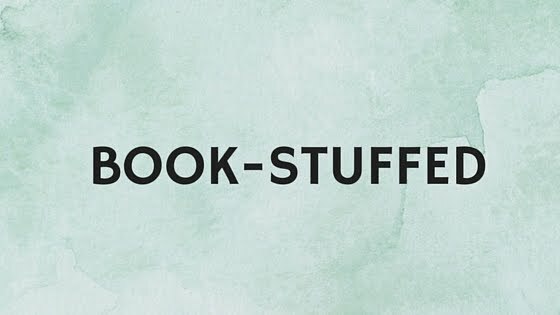 After all, what's not to love about a book about books and readers?